I've been watching a lot of wrestling nowadays. Back to my old self. Wrestling will always be my favourite sport to watch, if it is a sport. It was entertaining for sure. Since attitude era, I feel that most of the wrestler does not seem to entertain people that much, or they are trying hard so it look a little bit awkward. I remember during attitude era, promo flows like water and it seem so smooth, and it will keep your adrenaline rush from the beginning until the end of the show. After attitude... I watched wrestling with a expressionless face...I am not entertained. 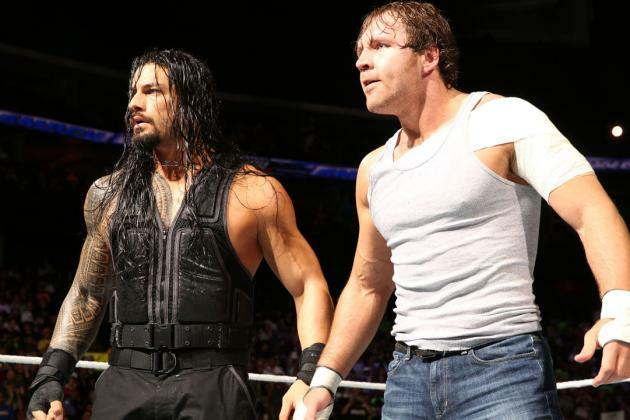 Lately, there was Roman Reign, appear as an 'underdog' that was push very hard by the company (WWE). I hate him. He does not have this charisma, the charisma to make your adrenal gland secrete adrenaline into your blood. Every match with Roman Reign inside it, seem so dull, blunt, I do not know how to describe it. I just feel like I want him to lose every match. Now, it seem that they are on the road of getting Roman Reign into the Wrestlemania and let him win wrestlemania this April 2016. That will complete the story where he finally overcome his defeat in previous wrestlemania and then later become the 'hero' of WWE. I don't think that is entertaining enough. It was like a story book where everything goes happily ever after. Sound like a good fairy tale, but with this guy called Roman Reign who have a very weak 'Superman' punch, and a very lame spear movement to win over his enemy....bla bla. There were one WWE superstar that kept me watching lately. Other than Brock Lesnar who appear sometimes. that person was Dean Ambrose. I like this guy. He did not have that babyface Roman Reign has, he did not have that muscular body like Roman Reign has, but Dean Ambrose sure keep me entertain in every match he participate. Even in the last Royal Rumble, when he left with Triple H on that ring, everyone was shouting and screaming like hell, I also did that at home, suddenly have this urge to shout "Do it Dean ambrose!". Even when everyone know that Triple H will win, as leaked info said before that, we still cheer for Dean Ambrose. This guy has a character. This guy know how to do a promo, good in mic skill. This guy seem does not give a damn about anything when he was on the ring. He definitely a great character to be a hero in WWE. He deserved WWE Heavyweight Title compare to Roman Reign. Anyway, WWE fastlane will be held this month, triple threat match between Dean Ambrose, Brock Lesnar and Roman Reign which Roman Reign will win for sure and then goes to Wrestlemania and win the WWE Heavyweight Title and complete his Roman story. But that will be so lame. It will be much more interesting if Dean Ambrose goes to wrestlemania and eventually win the title which will surprised everyone and more story can be crafted from that. But will WWE throw away their 1 year investment on the story of Roman Reign? Will WWE still take care of their fan need? Or they just playing their own game and left us as it is? Wrestlemania can be a great wrestlemania this year or the worse in the history of sport entertainment. Since the beginning of 2016, I have been busy over my work, the new commitment for our new founded association, my preparation for master program, hopefully this June 2016.